Born as a musician and raised as an artist Jorgo aka Stage Van H counts 30 years of DJ experience! From spinning vinyl till sticks nowadays, the flame and true love for music is still alive and burning..! Stage has been DJ-ing since November '85, playing at major clubs, events and festivals in the Netherlands, United Kingdom, Greece & the islands, and other Eastern European countries, spinning alongside to players such as Tiesto (playing together since '89 @ Lendte, Breda NL), John Digweed,Hernan Cattaneo, David Morales, Frankie Knuckles, Remy, Andy Moor, Gabriel & Dresden, Leama, Fabio, Grooverider, ao..
George was torn apart in 2 countries, although born & raised in Netherlands, the warm & solid climate of Greece & roots deep inside couldn’t keep him away for long! 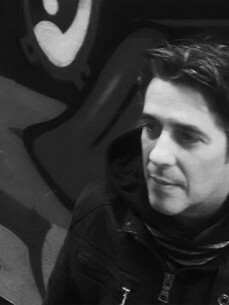 After a great DJ / Musical Background in Greece, being one of the beginners of the dance music genres' birth in the country, he found DJ Movement Production in early 2005, alongside his young greek studio & booth-mate, Tash. Since then, DJM Productions have been responsible for some very successful events incl. international guests such as Guy J, Jody Wisternoff,Pole Folder,Andy Moor, Anthony Pappa, Gabriel & Dresden, Kasey Taylor, Eelke Kleijn, Cjay, Parham & Dominic Plaza, Leama, Gpal, Nikola Gala, Dousk, Vsag, ao..
As a Musician, Stage has been playing the piano since his he was 7, but there was no EDM Genres at that time! Later on, he started working on his own productions (like 'Trip To Paradise' released in Playground CD Compilation '02) after 3 years of living in the UK & attending on various seminars & classes of Sound & Audio Engineering (S.A.E.). In '06, after teaming up in the studio with youngster Tash and moving back to Greece, they released their debut project releases on labels like SOG Records (ch), Presslab Limited (it), Plusquam (de) and Underground Lessons (gr) to name a few, releasing their debut album 'Movement' and launching at the same time their own electronic music record-label entitled Movement Recordings! He also started collaborating with other producers like Volcon,W&DY,Unison, Stergios and Rogier and released various tracks with them, mostly on the labels Just Movement, Movement Rec., Abstract Space Records and Massive Harmony.